Divorce is one of the most difficult life events. The Wise Law Firm is committed to helping our clients navigate this time with compassion and integrity. 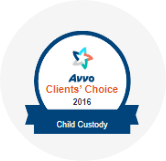 Child custody matters are often extremely complex. The Wise Law Firm fights to ensure the child’s best interests come first. 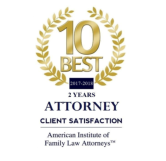 The Wise Law Firm is committed to ensuring Georgia's children are appropriately supported by both parents after a divorce or separation. Court order modifications can be complicated. The Wise Law Firm will guide you through the process and ensure the best possible outcome. Daria F. Wise, the founding partner of the Wise Law Firm, has over sixteen years of experience as a trial and family law attorney. Mrs. Wise has successfully handled hundreds of cases from mediated settlements to trial litigation. Daria works closely with the firm’s senior paralegal, Stephanie Kayler, to form an unparalleled legal team. Stephanie has over 8 years of family law experience as well as a Juris Doctorate degree which places her in the upper echelon of all paralegals in the Atlanta area. You will be well represented by the Wise Law Firm legal team. The Wise Law Firm is committed to providing high quality, affordable, and compassionate legal representation while upholding the utmost standards of integrity and excellence. The Wise Law Firm focuses on all areas of family law including: divorce, child custody, child support, visitation, modifications of previous court orders, alimony, mediation, name change, litigation, contempt actions, property settlement agreements, paternity and legitimation actions, and temporary protective orders (TPO). Family law matters can be contentious and are often emotional. The Wise Law Firm endeavors to fully understand our client's individual circumstances while helping the client remain calm and focused during the legal process. The Wise Law Firm thoroughly investigates the facts of each case and carefully analyzes each issue in order to provide our clients with the most accurate counsel to achieve the best possible outcome.